Should colleges offer gay and lesbian studies? 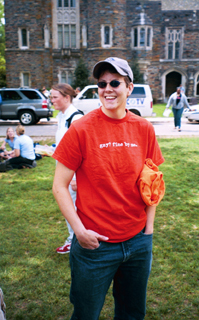 Gay and lesbian students are increasingly visible and vocal on U.S. college campuses. They are also finding a more welcoming climate at many, though not all, schools. Still, some gay students suffer harassment or threats because of their sexual orientation, and many, particularly athletes, stay “in the closet” for fear of unfavorable treatment. At least 100 universities have established resource centers to help gay, lesbian, bisexual and transgender (GLBT) students cope with the distinctive issues they face in college life. More than 150 colleges now offer courses in lesbian and gay studies — with some schools even offering academic majors or minors in the specialty. But anti-gay organizations and some academics contend that lesbian and gay studies is not a legitimate discipline and that the courses are inherently ideological, immoral or both. And some religiously affiliated schools maintain policies that bar recognition of gay student groups, limit public advocacy of gay causes and prohibit homosexual behavior.